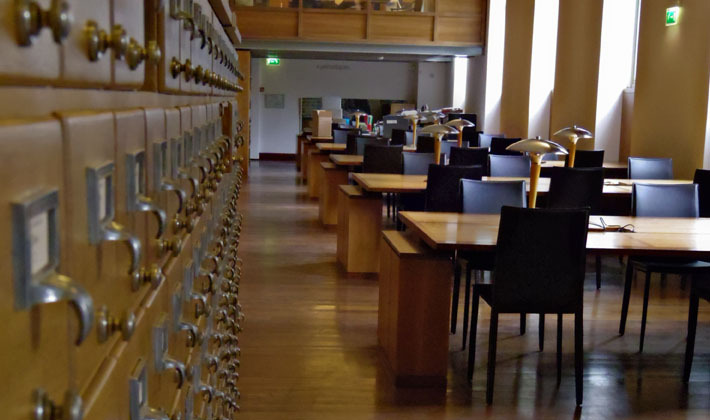 The Library is located on the ground floor of the museum (6 place d’Iéna 75016 Paris). The entrance is located at the lobby, next to the locker room. The library materials are available people on site, in the reading room. The consultation is given to possessing a research university, professional or personal, which requires the use of library collections. Access to the reading room is free and requires registration on proof of identity. Search for your books, you can consult the Catalogue collectif des bibliothèques des musées nationaux. The library is open on Monday, Wednesday, Thursday and Friday from 10 am to 17 pm.